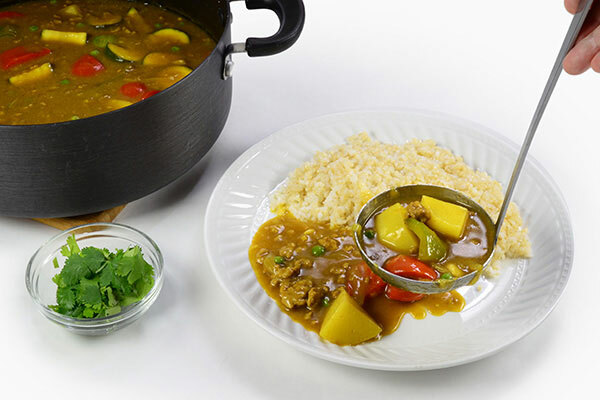 Curry rice is delicious anytime of the year. 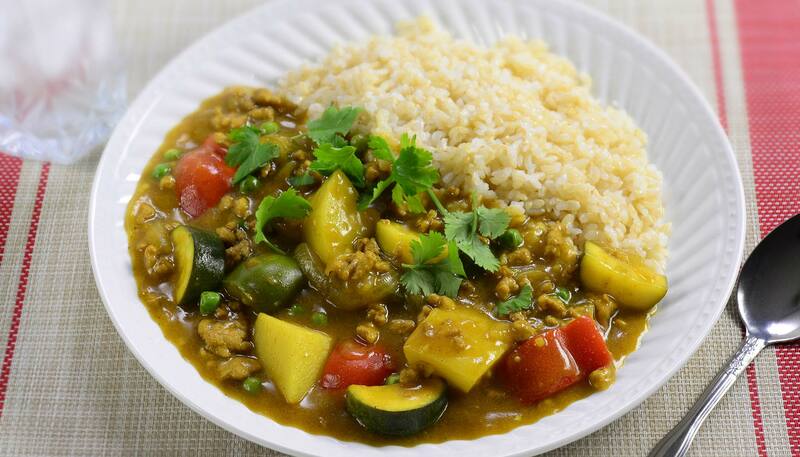 This curry filled with melodious aromas of vegetables over brown rice makes a delicious dish that you'll definitely savor. Sprinkle cilantro and enjoy it while hot. Measure rice accurately and place in inner cooking pan. Rinse the rice once to remove any debris and drain. 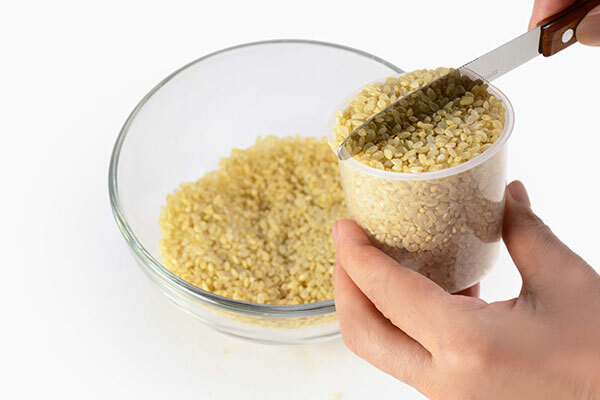 Add water by filling up to the water scale marked “2” for “Brown Rice.” Cook the rice using the “Brown Rice” setting. 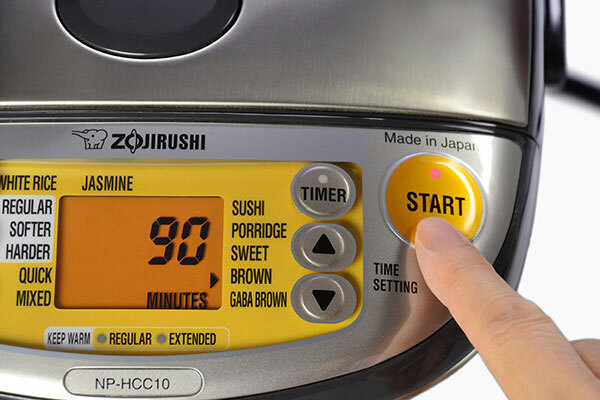 If your rice cooker does not have a brown rice setting, add 3 cups of water measured in the rice measuring cup. 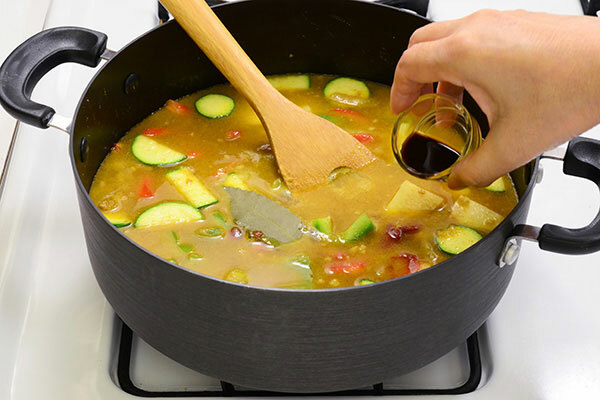 Cut zucchini, bell pepper and potato into bite size pieces, thinly slice onion. Sauté garlic, ginger and onion with butter in a skillet. When onions brown, add ground pork and salt and pepper to taste. 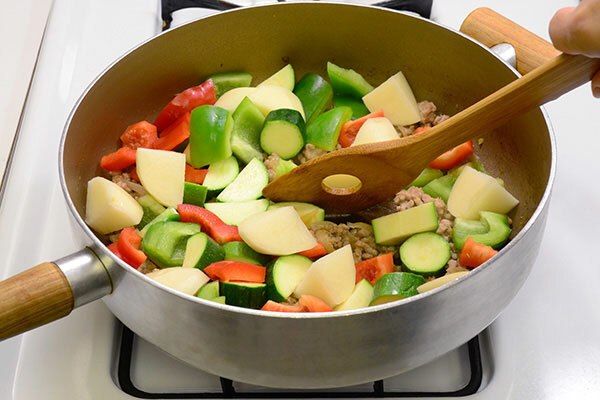 When meat is cooked, add zucchini, bell pepper and potato, sauté a little more and transfer to a large pot. 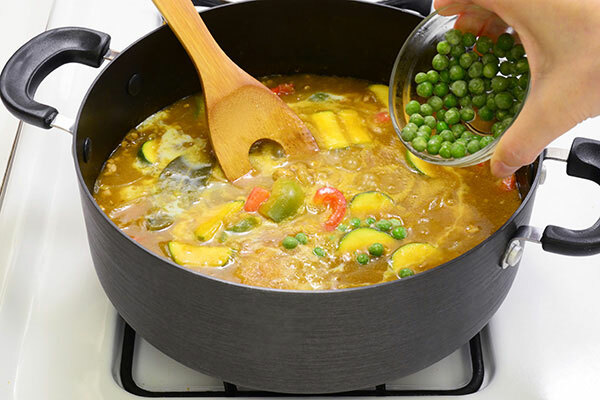 Once the vegetables are cooked through, add milk, grated apple and green peas and cook for another 5 minutes. Adjust the amount of apples depending on your preference. The more apples the sweeter. When rice completes cooking, fluff with the rice spatula, and place a scoop on a large plate with some depth. 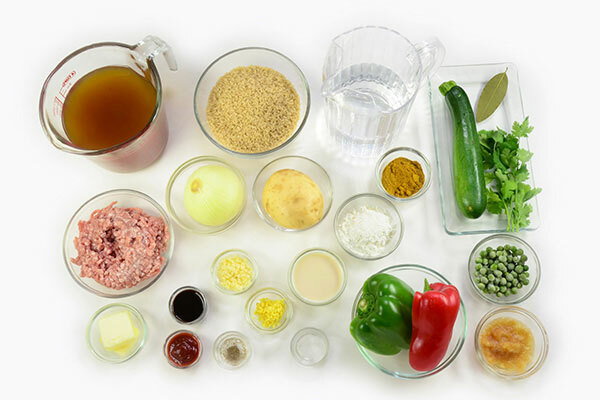 Pour curry, and top with chopped cilantro if preferred. Serve while hot.